I can’t think of a way to discuss David Lowery’s Ain’t Them Bodies Saints without simultaneously addressing the career of Terrance Malick, and that’s somewhat disappointing on many levels. In some ways this is a poetic style of filmmaking which comes down to preference, though there are also issues of originality. On one hand, Ain’t Them Bodies Saints is more reminiscent of early Malick in terms of story with the visuals of some of his later work, making for a more cohesive viewing experience than a film like To the Wonder. 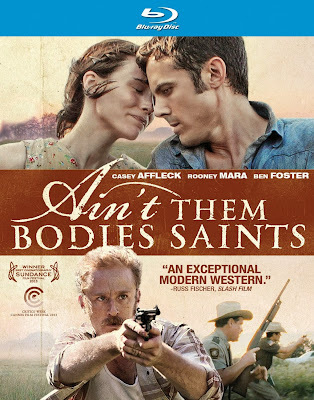 On the other hand, like much of Malick’s recent work, Ain’t Them Bodies Saints makes me long for the films it resembles more than enjoy I actually enjoyed this one. Style is no issue for Lowery, but it often overshadows what little narrative contained within his script. Somehow, I had higher expectations for this documentary when I heard that Morgan Spurlock had directed it. Up to this point there was a distinct style and approach to Spurlock’s films which I enjoyed, though you would hardly know of his involvement in this commercial 92-minute love letter to the boy band manufactured on British reality television. They treat the subject with such adoration that it is clear Spurlock took a paycheck to make this mindless fluff piece. It feels even less sincere than the film Spurlock made by selling to advertisers. At least that was direct and honest, whereas this one is mindless logic and stupid sequences of these young men acting like boys. 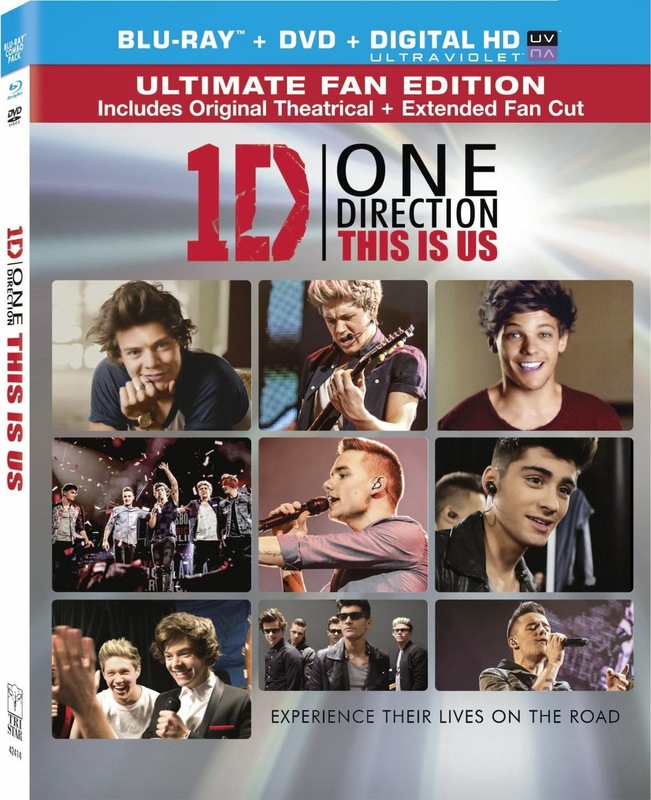 The most frustrating thing about this documentary is how little material there is which has any significance beyond fan adoration. These boys don’t seem to have much personality that is their own, and what there is remains a mystery. We get to see as they are clothed by professionals, have their hair done for them, and given music to sing on a set other people designed for them. They are so uninvolved beyond their own moments in the spotlight that their security guards actually have to chase them down and carry them to the performances. Watching their behavior and the professionals feeding off of their success is like watching parents who don’t want to say no to their unruly children in public. It’s embarrassing. The origins of Smurfette are widely discussed in the world of Smurfs. Why is there only one female Smurf and where did she come from? This answer has long been a part of the Smurf mythology, and answering it becomes wonderful idea for the basic premise of The Smurfs 2. Not only do we discover that Smurfette (voiced by pop star Katy Perry) was actually created by Gargamel (Hank Azaria) as a spy to be unleashed on the Smurfs, but there are additional creations by Gargamel called the Naughties. Gargamel kidnaps Smurfette to try and discover the magic that Papa Smurf used to make her into a real Smurf. This is where the plot detours from the origin Smurf story a bit, because it is magic that made Smurfette rather than simply the love and kindness given to her from the Smurfs. 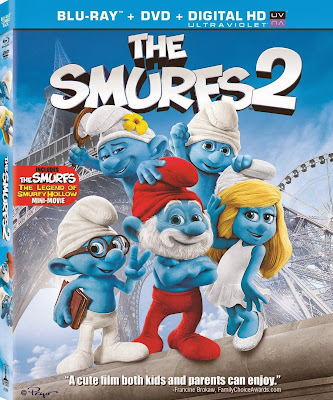 This allows for a reason to kidnap Smurfette, as Gargamel attempts to create his own Smurfs for stealing their essence and becoming the world’s most famous magician. 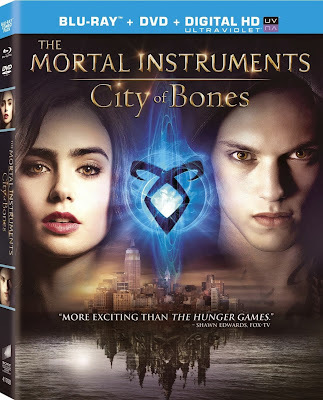 The plot wears a bit thin, but there is plenty of Smurf humor and action to keep this film from being boring. The casting of the adult characters is more likely to engage the adult audience members, while the children viewers will be enamored by the magical CGI blue creatures. The sixteenth season has moments which are sincerely funny, others which are very obviously done merely for shock value and to push the adult humor further than before, and then there are bits which are just bad. Fortunately, there are less of the bad jokes and more of the edgy humor, but not enough of it has the charm that “The Simpsons” once had. 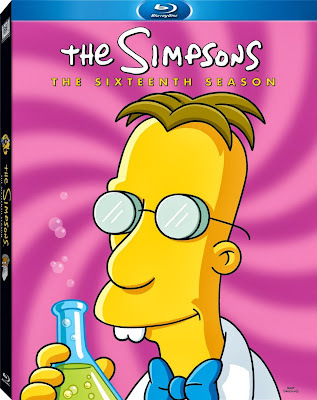 Some of the episodes almost feel like recycled material, redone with dirtier double-entendre jokes inserted. Saving General Yang is a solid film, though it may lack the amount of originality that would set it apart from dozens of other Chinese war epics to be released in the last decade. As engaging as the storyline and action may be, there is trouble relating to any one character or even to properly distinguish each of them from each other. The story and action often take precedence, which lightens the emotional impact of the final sequences. The film takes place in Northern China during the early Northern Song dynasty, AD 986. 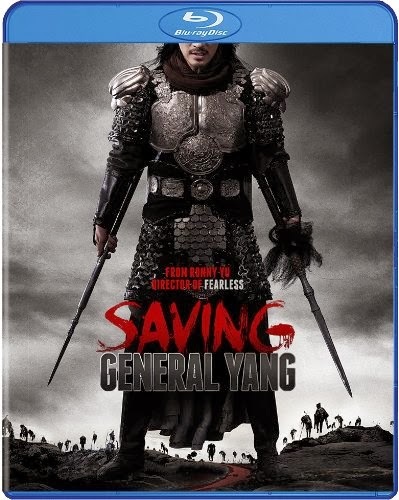 The great General Yang Ye (Adam Cheng) long ago killed the leader of a clan in battle, and the surviving son is determined to enact revenge for his father. He kidnaps General Yang in order to carry out the revenge, at the same time that an invading army of thousands approaches the north. Led by his first son (Ekin Cheng), General Yang’s seven sons set out on an impossible mission to bring their father home. 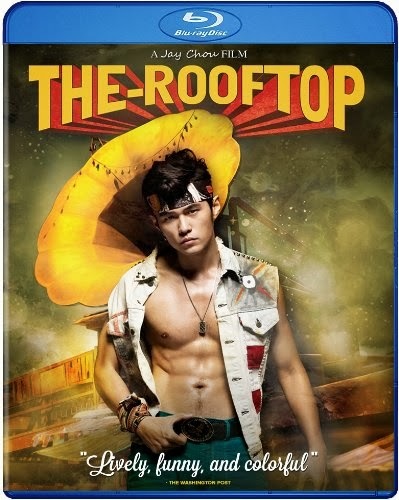 Very little about The Rooftop feels very original, with a great deal of the storyline and feel of the film seemingly taken directly from Baz Luhrmann’s Moulin Rouge! (2001). It is entertaining and fun, but also a bit predictable, melodramatic and self-indulgent. Fortunately, the target audience likely won’t mind these shortcomings for the chance to see Jay Chou shirtless and singing. Chou is best known in the Unites States for his supporting role as Kato in The Green Hornet film adaptation, playing the role made famous by Bruce Lee, but in China he is a huge pop star as well as an actor. This film makes for a natural transition into directing as well, allowing him to control a film that allows him to display his most admirable assets. There is plenty of singing and dancing, a lot of fighting, and endless scenes with Chou’s abs proudly on display. Ryan Izay: You are no stranger to action, in a variety of different style and genres throughout your filmography. The Berlin File utilizes many of these, including some gun play, hand-to-and combat, chase sequences and more. Do you have a favorite to work with? 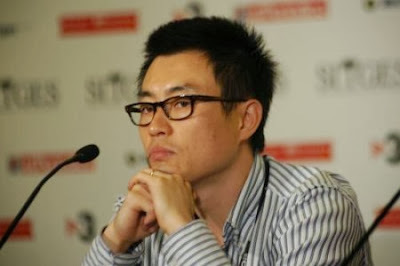 Ryoo Seung-wan : I must’ve liked to work with all of them in order to have put them in the movie right? Of course, I do like to add actions scenes that I prefer but I now try to think more about what kind of action scenes the movie needs. The above mentioned action scenes that you’ve mentioned are a combination of my personal preferences and also what the movie needed to push the story forward. It’s hard to choose a favorite because each type of action has its own unique flavor. It was so difficult choosing the various action scenes while making the movie, please don’t make me choose again! The Seasoning House is a film with a premise that never quite pans out in a satisfactory manner, although it delivers all that it promises in terms of vengeance. The problem with revenge thrillers is the success that others have had in the genre in the past decade or so. There have been quite a few of them, and since the 1970s with Wes Craven’s The Last House on the Left (1972) and the cult hit I Spit on Your Grave no sub-genre seems more determined to push the limits of violent revenge. Unfortunately, there is little memorable about the methods of revenge in The Seasoning House, making for a surprisingly tame tale of vengeance. The other difficulty I had with The Seasoning House was the real-life scenario which sets the film up. A young deaf mute girl named Angel (Rosie Day) is ripped from her home during the war in the Balkans and taken to a house where young kidnapped girls are forced into prostitution for any passing military personnel. The saving grace for the film’s narrative is also the most unbelievable aspect of the story when Angel is never prostituted. Somehow her disabilities make her better suited for maid-like duties, which seems strange considering how much communication is key to her job in comparison to the jobs of the other girls in the house. The hype far surpassed the actual content of All the Boys Love Mandy Lane, which actually seems quite tame despite initial ravings from a select few able to see the film when it was first made seven years ago. After collecting dust for much of those seven years, All the Boys Love Mandy Lane is now old news. Even the casting of Amber Heard in the title role has little of the same impact since she has shed her virginal teen image, though fans may find it refreshing to see her in a film with a little baby fat in her cheeks. As often happens with a few years in the spotlight, Heard is more of a cookie cutter starlet these days, with little to no fat in her cheeks or anywhere else on her body. It is actually quite easy to see why this film was shelved, because aside from the casting of Heard in the leading role, there is nothing much inventive or impressive about Jonathan Levine’s film. It simply utilizes the popular slasher narrative of a group of partying teens in a remote area, each picked off until the final cause of the deaths is revealed. There is an adequate amount of violence, though none feels altogether inspired.